It is impossible for Chief Inspector Wexford not to wonder how terrible it would be to discover that one of his daughters had been murdered. Sylvia has always been a cause for concern. Living alone with her two children, she is pregnant again. What will happen to the child? The relationship between father and daughter has always been uneasy. But the current situation also provokes an emotional division between Wexford and his wife, Dora. One particular member of the local press is gunning for the Chief Inspector, distinctly unimpressed with what he regards as old-fashioned police methods. 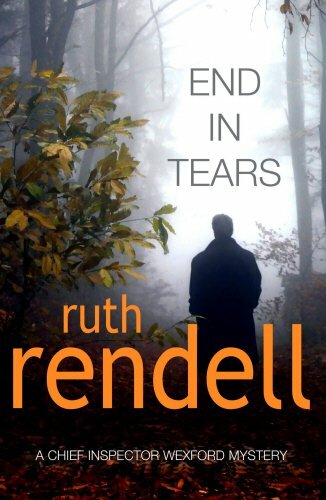 But Wexford, with his old friend and partner, Mike Burden, along with two new recruits to the Kingsmarkham team, pursue their inquiries with a diligence and humanity that makes Ruth Rendell's detective stories enthralling, exciting and very touching." For most of the way through the book I kept on thinking that I'd missed something but, no ... all was revealed on the penultimate page. As for the murderer - you pays your money and you takes your choice. I did enjoy this book; Ruth Rendell is a classy writer and, knowing something about human nature, I should have been more aware. Oh, well !!!! This one if destined for wild release, I suspect. Posting to a fellow Bookcrosser as a prize in a competition. I always enjoy any by Ruth Rendell. The writing is terrific and the psychology and characterisation usually engrossingly 'weird' - although perhaps less so in the "Inspector Wexford Mysteries" than the others. Thanks for your generosity pinkozcat. Oops! We actually listened to this one as an audiobook back in December 2016 while barrelling along the Eyre Highway across the Nullabor. I'd forgotten I had a paper copy until I discovered it on the shelf while ferreting about today . . . I remember the basics of the story and that it was an enjoyable way to fill the hours. I also remember a vague sense of it not really being up to her usual standard. Perhaps it was those 'leaps of faith'? Or perhaps the 'Agatha Christie-esque' reveal technique at the end, which I think is often a bit of a cop out. All in all not astoundingly great, but not bad either.